Woman Dancing at Fantasy Fair. Photo by Elaine Mayes. June 10, 1967 was an important day not only for the Summer of Love, but for music history. 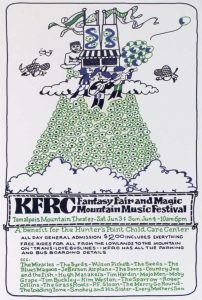 Exactly one week later than its originally scheduled date (inclement weather the previous weekend postponed it for a week), the KFRC Fantasy Fair and Magic Mountain Music Festival kicked off on Mt. Tamalpais in Marin County, just north of San Francisco. Over two days (June 10th and 11, 1967), tens of thousands of music fans would participate in the first rock festival in American history. 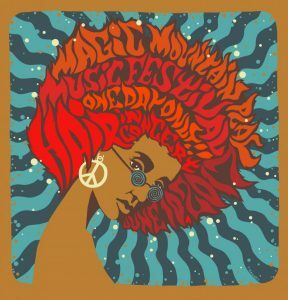 While the Monterey Pop Festival is often credited with being the first rock music festival in history, in fact it was the “Fantasy Fair” that deserves the honor. 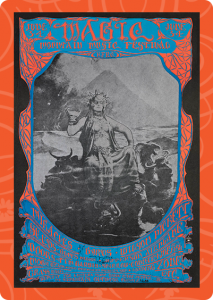 Led by KFRC, an AM radio station, the festival featured the Doors, Jefferson Airplane, the Byrds, Sons of Champlin, and many other bands that were gaining notice throughout California and beyond. The event was designed as a benefit for the Hunters Point Childcare Center in San Francisco. The Fantasy Fair and its legacy is being honored in many ways during the 50th Anniversary. 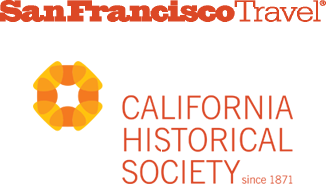 On, June 10th, Mountain Play is featuring a concert with Jefferson Starship and a special concert performance of Hair, the musical. Later in the Summer, the Marin County Fair will have a special exhibition dedicated to the history of the Fantasy Fair and feature one of the original bands from the Fantasy Fair: Sons of Champlin. 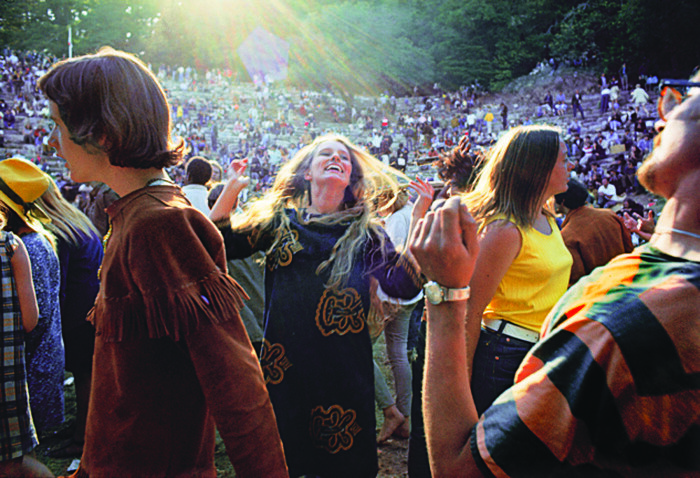 Images from the Fantasy Fair are also on display at the California Historical Society’s exhibition, On the Road to the Summer of Love.